Copyright © 1941 by Horowitz and Harkness. All rights reserved under Pan American and International Copyright Conventions. Published in the United Kingdom by Constable and Company, Ltd., 10 Orange Street, London WC 2. This Dover edition, first published in I960, is an unabridged and unaltered republication of the work first published by the Chess Review in 1941. Deep out of the shadows, out of the Middle-Ages, came Akiba Rubinstein. A dark squalid Ghetto of Russian-Poland was the Bethlehem in which his spark of life was kindled. Rubinstein was born on December 12, 1882, in Stawiski, of the Province of Lomza. For generations his ancestors had been rabbis and scholars of the Hebrew classics, equally inured to physical privation and the intensive cultivation of the mind. In the home of Rubinstein's parents both were to be found—keenness of intellect and stark poverty. A few weeks before his birth, his father had died, leaving behind a wife and twelve children. Akiba went to the house of his grandparents, who forthwith undertook his up-bringing. The lines of this "up-bringing" were marked out to a nicety. The youngster would become a teacher of the Talmud, a student of Hebrew, even as his father and his grandfather before him. His education was indeed received in the "Cheder," the school of the Jewish community, and the "Yeshiva," a higher academy of religious instruction. The prescribed language was Hebrew and Yiddish: Rubinstein understood no other, and had no desire for any other. He would become an ornament of the Ghetto—nothing more. Then chess came into his life. He chanced to see two children playing the game in the "Yeshiva." He was fascinated and from that moment chess became the ruling passion of his life. He was sixteen years of age at the time, and immediately obtained the only chess book available in Hebrew, "Chess, Checkmate," by Sossnitz. He absorbed its contents entire. Study of the Torah, the lore of the Talmud, became an evanescent dream; only chess remained. His grandparents noted, and mourned. They cursed the devilish alchemy in whose toils the boy had become enmeshed. His mother prayed daily that the Lord bring her erring son back to the well trodden paths. But Rubinstein was lost to God; he had succumbed to a demon, that was to embody his tragic fate, and from which his life could never more be sundered. From the petty glory of the Ghetto and a humdrum existence, his way was to lead to world-wide renown and a soul racking ambition. 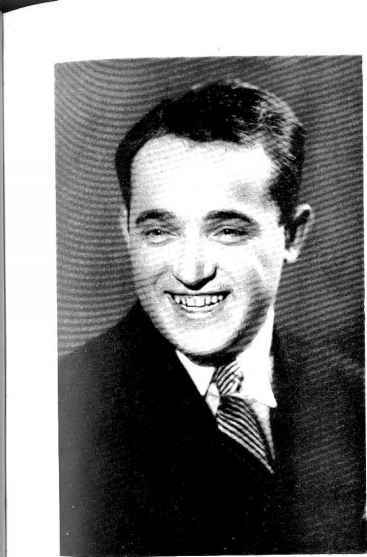 At 19 Rubinstein learned that in the nearby town of Lodz there lived a real chess master, one George Salwe—a champion, who, indeed, had crossed swords with the great Tschigorin. Forthwith Rubinstein betook himself to Lodz; there he found in some way the means of subsistence, and thereafter was nowhere else to be found except in the sphere of chess. He played with those to whom Salwe gave the odds of a rook; but even against these yokels the young man of Stawiski did not shine. Clearly the lad of the Ghetto was not cut out to be a chess player. No one had any confidence in his ability except Rubinstein. He returned to his native village and for several months disappeared from view. Suddenly he was in Lodz once more. He entered the chess club, then direct to the table of master Salwe, and challenged him to battle. Salwe smiled indulgently; those about the master mocked in derision. But Rubinstein seated himself, and played and won. The whole club went into a huddle. Without delay a match between Salwe and Rubinstein was arranged. The result was a deadlock at 5:5. A second match was played and victory rested with Rubinstein 5:3. The old champion was dethroned, and the dreamy youth from the Polish village reigned in his stead. A year later he was sent to the Russian National Tourney at Kiev, where he obtained the 5th Prize. In 1905 he entered the international arena, and at Barmen won his spurs in the Hauptturnier A of the German Chess Association, tying with Duras for third prize. He became a recognized master. From the odds of a rook, after less than four years, he bestrode the realm of chess like a Colossus. Now began a breath-taking march from triumph to triumph. At Ostend (1905) he was third among 36 entrants. Schlechter and Maroczy alone outranked him, with such prime figures as Bernstein, Teichmann, Marshall, Janowski and the whole array of Russian talent trailing behind. Shortly after the new year was ushered in he scaled the pinnacle in competition among the great. At Ostend he shared first prize with Bernstein far in advance of 28 contenders. At Karlsbad he won undisputed first honors, and with this victory broke the supremacy of the so-called Lasker-Pleiades, that is, the generation of grandmasters who were contemporaries of Lasker, and who had set the standard in the world of chess since 1890. With this victory the standard was hauled down, and Rubinstein in turn became the standard bearer of his generation, which was to include Capa-blanca, Niemzowitch, Spielmann, Tartakower, Vidmar and all others of the new epoch of chess. At St. Petersburg in 1909 the Polish master demonstrated his full equality with world champion Lasker, whom he defeated in their individual encounter. In fact it was not until the last round that Lasker's score matched his own, so that both shared the first prize. His great year of triumph, however, came three years later, in 1912. In a period of twelve months, he scored no less than five first prizes In international competition, a record that in the whole gamut of chess history has never been duplicated, either before or after. San Sebastian, Pistyan, Breslau, Warsaw, and Vilna. But in this year also the shadows for the first time flitted across the spirit of Rubinstein. None the less his record blazoned forth, and it was clear to the whole world that Rubinstein was to be the next champion. Nor was this conviction shaken by his astounding failure at St. Petersburg in 1914, the first signal rebuff in his career. A great match for the world title was scheduled to take place in the spring of 1914 between Lasker and Rubinstein. The chess world waited expectantly. Then came the War. Among the millions who fell victims to the ravages of the Great War is to be numbered Rubinstein, chess genius. The post-war Rubinstein is a far different master than the triumphant hero of 1914 who was to contest with Lasker for the Championship of the World. The soul of the sensitive Rubinstein had been most delicately poised even at the height of his career, and was most sorely tried by the ravages and hardships of the war years. Gone was that inner harmony so essential for the complete fulfillment of the powers of a chess artist. It is true that even in the last fifteen years he has garnered a long list of tournament successes, and not a few first prizes, and has played games that take their place among the gems of chess literature. But Rubinstein has lost the supreme confidence in himself that is the necessary equipment of a champion. He suffers in fact from an inferiority complex, deeming himself superfluous, no longer a necessary adjunct to every great tourney, nor indeed welcome. Ever modest and retiring, his shyness has become an obsession to the point of a real mental aberration. Yet we can be sure that were he to overcome this fixation, and to find some degree of contentment, attaining that calm and clear vision that most distinguished his play in his earlier period, he would once more find his place in the fore-front of the masters in spite of his fifty years. There can be little doubt that Rubinstein has added more to the present status of chess theory and technique than any master since Steinitz. More innovations in the openings and more of the lines that are today recognized as the ultimate in correctness and strength can be traced to his genius and originality than can be ascribed to any other master. The standard defense of the Ruy Lopez—B-K2, P-Q3, P-QKt4, P-QB4, etc.—owes most to him. In the Four Knights both Kt-Q5 (leading to a draw) and Q-K2 (followed by Kt-Q), were formulated by him, and so potently aided Black, that they have all but banished this opening from serious play. In the Queen's Gambit Declined, it was Rubinstein who perfected the Fianchetto of the King's Bishop against Tarrasch's defense of P-QB4, and sent that variation into semi-retirement for many years. Indeed he most signally celebrated the triumph of this variation by resounding victories over Lasker (1909) and Capablanca (1911). In recent years he has introduced new attacks and defenses in the most hyper-modern positions. Against Black's 3 . . . B-Kt5 in the Queen's Pawn Opening, his simple P-K3 followed by Kt-K2 is especially noteworthy. Less well known is his novel sacrificial line against the Blumenfeld Counter Attack, while his crushing treatment of the Queen's Fianchetto Defense by a solid phalanx of pawns that aimed at QB5, was classically illustrated in his game against Thomas. His 2 . . . Kt-KB3 is in my judgment one of the best of Black's resources in the Sicilian. He is a pioneer and originator who hews out new paths in the domain of chess. He is not content merely to win games, to take advantage of some lapse on the part of his adversary, to entrap his opponent into pitfalls that have been dug by others. He views himself as an artist and at each session he endeavors to add something worth while to the literature of chess and some new thought to its technique. As a result the record of his victories constitutes the most valuable compilation of games that has been brought together by any master. As we go over these one by one we are amazed at their superiority in depth and strategy over the masterpieces of those we have long honored with the label of champion. In the opinion of the writer only the games of Capablanca reach a higher standard of perfection. But Capa built largely on the labors of others, adding merely the final mark of his own great talent. His is a great gift of selection. Rubinstein is the creator and his moves bear the imprint of his own personality. Of Lasker it was indeed said that he played P-K4 with a view to the end game. But Lasker's chief forte was the complex struggle of the mid-game, and he added little to our knowledge of the openings, being content to trod the best paths, and to leave the blazing of new trails to some more adventurous spirits. And be it said for Rubinstein that he stands as the greatest end-game player of all time, if not indeed, the most finished master we have known. In fact so profound an impression did his games make with the writer, that in a brief colloquy with Reuben Fine he ventured the thought that the Polish master ranked with Capablanca in the sheer artistry of his victories. Mr. Fine not only agreed with this appraisal, but indicated his belief that Rubinstein should be placed at the very head of the list. Rubinstein's character is too noble for the rough and tumble of life. His colleagues know best the splendor of his personality, his consideration for others. So solicitous is he that his opponent be not disturbed in his reflection, that as a matter of principle, he leaves the board after each move, and only returns after his adversary has completed his play. Naturally much time is lost thereby, and his own thinking suffers, and many a surprising loss of Rubinstein can no doubt be attributed to this factor." He is indeed the Spinoza of chess. More geometrico, with crystal-clt.ar, mathematical detachment, he builds up his position—grace, ease and restraint most markedly apparent in the process. Yet his game throbs with the zeal of the artist, revealing the throes and pains of the creator, all of which are held in check by a judicial appraisal, a calm logic. Hia games remind us of a great symphony that flows evenly and majestically, yet contains within itself deep tones of approaching storms. From time to time the wild spirit breaks forth from the confines of its Olympian repose, giving us games like his imperishable contest with Rotlewi. Yet even in his most dashing attacks there is the supreme mastery of the elements—the sacrifice of a queen (against Duras in 1908), not to overwhelm his adversary, but to win a pawn, and some twenty-five moves later, by the most refined technique, to translate the pawn advantage into victory. This is the great feature of his play—its great strategic depth. He is never superficial, never cheap or tawdry. He is never seeking merely to win, but always to create a "Work of Art." He never plays to the score or to the weakness of his opponent, but ever to the board and to give us his best. With acknowledgment to Dr. Hannah's introduction to "Rubinstein Gewinnt"